Chipmaker AMD has released its latest quarterly financial figures, and they show continued losses - but that isn't preventing the company from predicting it will be back to profitability by the end of the financial year. AMD has had something of a tough time of late. Where once it held the performance crown over rival Intel, the latter company's latest products comfortably beat AMD's in general-purpose computing workloads. 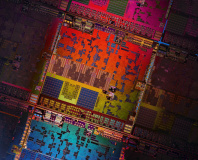 AMD's response has been to concentrate harder at the budget end of the market, producing its range of accelerated processing unit (APU) products which offer significantly improved graphics processing capabilities compared to Intel's equivalently-priced alternatives. Recently, the company has enjoyed a couple of high-profile wins: launching a new semi-custom chip division, the company has won orders from both Microsoft and Sony to include variants of its Jaguar APU product in their respective next-generation consoles the Xbox One and PlayStation 4. These design wins, fans hope, will help AMD become more competitive in the gaming and enthusiast market, as developers may tweak their code for AMD chips first and Intel's second. These highlights aside, AMD's financial performance has been poor in the last few years. 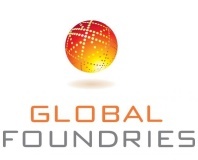 Poor deals with spin-off fabrication facility GlobalFoundries conspired with slowing demand to make the past few quarters a bad time for the company despite one or two good quarterly results - losses being followed by job cuts and more losses. Its last report, however, did show slowing losses - although this was helped by the one-time sale and leaseback of its Texas headquarters, without which its losses would have been significantly greater. The company's latest report reveals continued losses, but the needle is at least going in the right direction now: $1.16 billion in revenue translates to a $74 million loss for the second quarter of 2013, compared to a whopping $146 million loss in Q1. This, however, is somewhat overshadowed by the company's performance this time last year when its Q2 2012 report showed a $37 million profit on $1.41 billion in revenue. The divisional breakdown shows where the company is struggling. Hit by the global slowdown in traditional PC sales, AMD's Computing Solutions division - responsible for CPUs, APUs, chipsets, embedded processors and server products - reported a 20 per cent year-on-year slump, despite growing 12 per cent quarter-on-quarter. This was particularly hit by a decrease in average selling price (ASP) for the company's microprocessor ranges, a direct consequence of targeting the budget end of the market with low-cost CPUs and APUs. The company's Graphics and Visual Solutions division - graphics processors for the consumer and professional along with semi-custom APUs for consoles and other embedded markets - also saw a decline of 13 per cent year-on-year, and five per cent quarter-on-quarter. An increase in average selling price, however, means that while revenue was lower compared to this time last year, the impact wasn't quite as bad as it would have otherwise been. Despite its losses, AMD is continuing to position itself as the comeback king, claiming that revenue will increase 22 per cent in the third financial quarter to allow the company to end the financial year on a much-needed profit. It would be just in time, too: the company's revised Wafer Supply Agreement (WSA) with GlobalFoundries will result in a $200 million charge against the company's Q1 2014 earnings, putting a significant dent in its remaining $1.1 billion cash pile on which the company has placed a minimum target of $700 million. While AMD's profits on its next-generation console deals will likely be at a low margin, they could still prove to be saving of the company: in its own earnings call, Ubisoft reported that pre-orders of both the Xbox One and the PlayStation 4 are sitting at around double those of their current-generation predecessors at the same point in their respective lifecycles. With AMD the only mainstream competition to Intel in the x86 market, the entire technology industry will be crossing its fingers for the company's long-promised comeback.